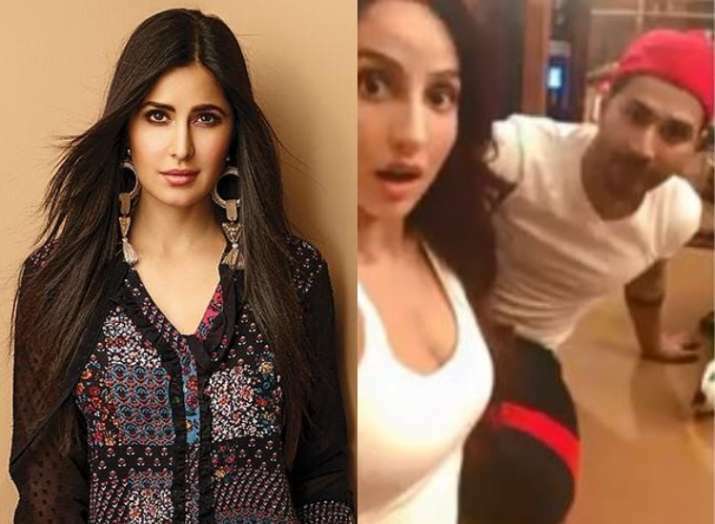 Latest Bollywood News and Updates March 19: Varun Dhawan and Nora Fatehi are on a roll as they keep challenging each other with various dance forms. After the twerk challenge, the duo flaunted their dancing skills on Nora’s most popular track Dilbar. On the other hand, Katrina Kaif treated herself with a luxurious car Range Rover. Also, Deepika Padukone and Ranbir Kapoor attended an event in the city where they danced to Ranveer Singh’s iconic song Aankh Maare along with filmmaker Karan Johar and laughter queen Bharti Singh. Talking about another successful actress, Alia Bhatt gifted Rs 50 lakh cheque to her driver and helper so that they can buy a house for themselves just before her 26th birthday. Ranbir Kapoor and Deepika Padukone may share a romantic history but now the duo shares a very friendly bond with each other, especially when the two have moved on to their respective partners in life. While Deepika has tied the knot with the love of her life Ranveer Singh, Ranbir is allegedly dating his Brahmastra co-star Alia Bhatt. The two dynamic actors recently attended an event together where they were seen burning the stage dancing to the powerhouse of energy Ranveer Singh’s most popular track Aankh Maare from the movie Simmba. Katrina Kaif’s last Bollywood film Zero failed to impress the audience and critics but the actress’ performance in the film won millions of hearts. Katrina had revealed that she has worked really hard for her role in the film and it beautifully resonated in her performance. So as to pamper herself for all the hard work she has put in, Bollywood diva Katrina Kaif gifted herself a brand-new SUV. According to the reports in Mid-Day, the actress has added another beauty in her collection of luxury cars as she bought a Range Rover. Varun Dhawan and Nora Fatehi’s chemistry while shooting for their upcoming film, Remo D’souza’s Street Dancer, has been making headlines ever since they started the film. The duo is currently in London along with the whole team and Shraddha Kapoor to shoot for the third installment of the popular ABCD series. After the queen of belly dancing Nora Fatehi challenged Varun Dhawan for a twerking competition, the duo faced each other for a dance-off on Nora’s most popular song Dilbar. Nora Fatehi also performed in the Dilbar song from the John Abraham movie which went on to break many existing records. The song is a recreated version of song Dilbar from 1999’s film Sirf Tum which originally featured Sushmita Sen. Sung by Neha Kakkar, Dhvani Bhanushali, Ikka, the song went viral just after its release and garnered more than 20 million views in the first 24 hours. Other than achieving the fastest 100 million views, Dilbar is also the first Indian song to reach the number 3 position on Billboards YouTube Channel. Aishwarya Rai Bachchan is undoubtedly the most hard-working actress in the industry. She is not just acclaimed in our country but is a global icon and known to mesmerize the masses every time she appears on the big screen. Aishwarya has proved her acting mettle in a number of films and has also been awarded many times for her stellar performance in the film. However, the latest buzz in the industry claims that the actress was supposed to be honoured with the Best Actress award but got replaced by another actress last moment. With films like Guru, Hum Dil De CHuke Sanam, Guzaarish, Ae Dil Hai Mushkil and others, Aishwarya Rai Bachchan has always managed to win hearts with her outstanding portrayal of characters. Recently, a senior filmmaker revealed that a few years back, the actress was chosen to be awarded with the Best Actress award for her hypnotic performance in the 2010 film Guzaarish and she was even being informed about it. However, in the last moment, giving in to the insistence of an influential leading man, her name was replaced by another actress to be presented with the Best Actress Award that year. Alia Bhatt is riding high on success by giving back to back blockbusters in Bollywood. Not just her films are garnering huge box office numbers, but the actress is continuously winning hearts with her performances. From a power-packed girl in Gully Boy to a modern ambitious girl in Badrinath Ki Dulhaniya, the actress has always managed to bring life to her characters. This has even made her the most desirable actress for every filmmaker to work with. Amid all the work and busy schedule, Alia bhatt also makes sure that she takes care of the people who take care of her. Recently, as the actress turned 26, she managed to fulfill the dreams of her helper as well as the driver by gifting them their own houses. Going by the reports in Spotboye, Alia Bhatt wrote two cheques worth Rs 50 Lakh each and gifted them to her driver Sunil and helper Anmol just a few days before her 26th birthday. She gave them the money so that they can but their own house in Mumbai. The report suggests that the two have already booked their 1BHKs in Juhu Gully and Khan Danda and are very grateful to the actress. Sushmita Sen keeps treating her fans with lovestruck pictures and videos with her boyfriend Rohman Shawl. The actress herself claims that she is currently ‘Rohmancing life’ and is in a very happy phase. Sushmita is in London these days with Rohman Shawl where she is not just having a gala time but is also acting as a muse for Rohman Shawl. The actress took to her Instagram to share pictures clicked by boyfriend Rohman Shawl in which she is seen posing like a true diva.